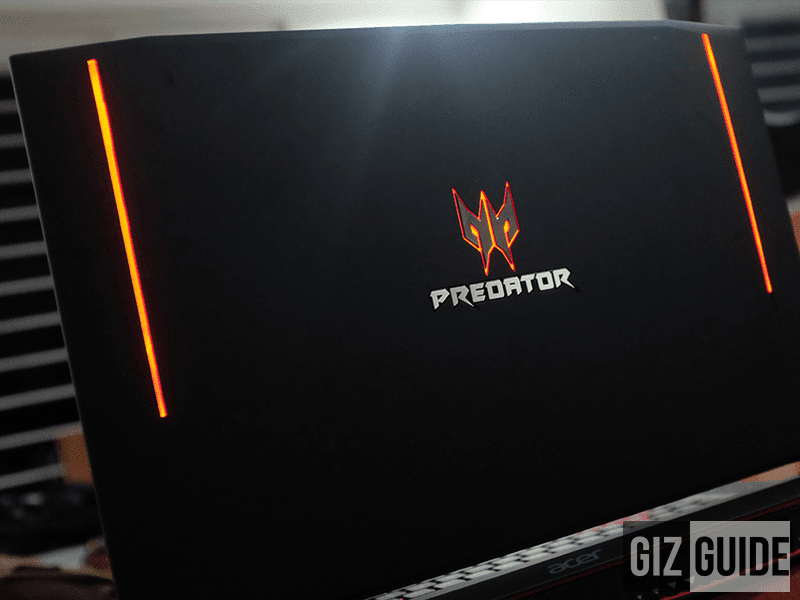 Acer Predator 17 Hands On And Initial Impressions! The Gaming Monstrosity Is Finally Here! 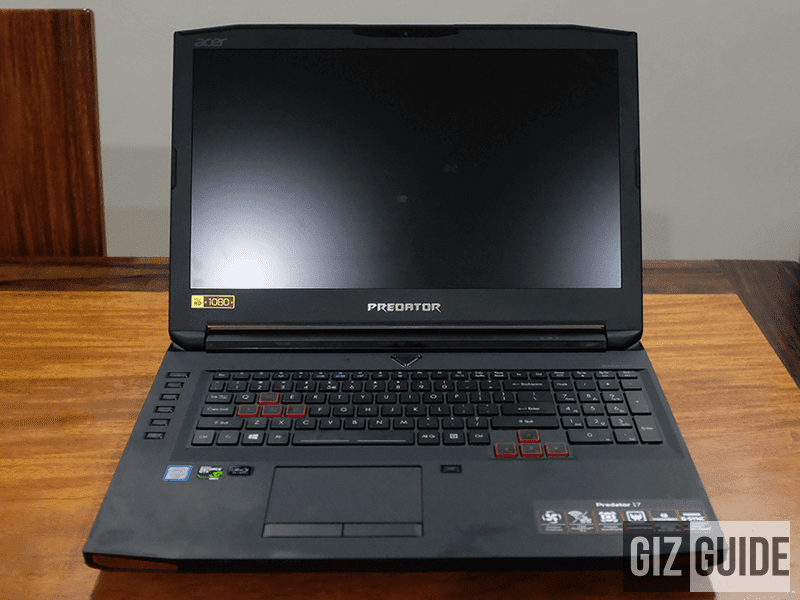 Home / acer / pc / reviews / Acer Predator 17 Hands On And Initial Impressions! The Gaming Monstrosity Is Finally Here! I remember several years ago that a very influential person said that PCs were trucks and that Tablets were Cars and to some degree it is true. In fact, it doesn't stray from the truth at all and there is a market for people who prefer a sedan over a pick-up, but there is a niche for the ones who want or need the performance of a F1 Race car without sacrificing size or portability. The Predator is that product for the ones who need the performance in an all-in one package that can be carried around. 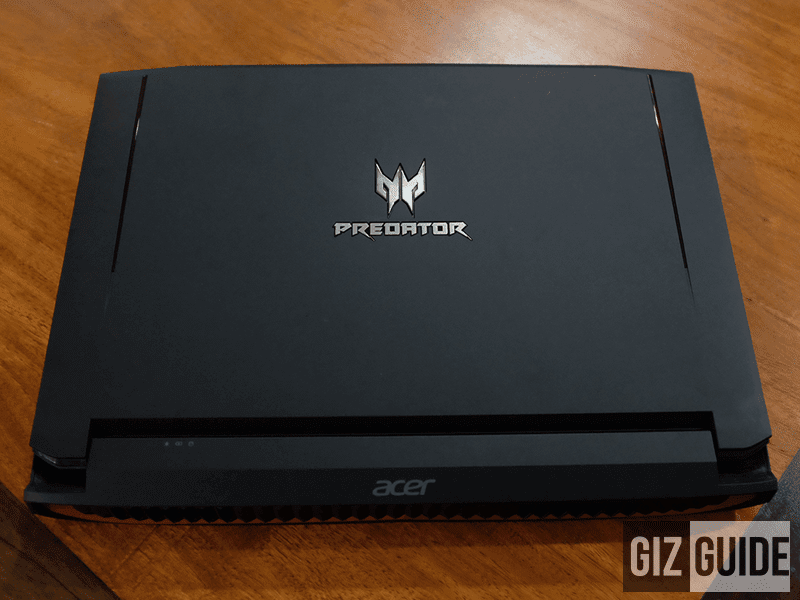 Related: Acer Predator 8 Review: Unleashing The Gaming Tablet Beast! Inside the box are the Laptop itself, the Power Cord, the Power supply, the extra Cooling Fan and paper documentation. Build Quality is comparing this beast to a tank. The exterior is made out of soft rubberized paint with hard plastic underneath with a combination black and some signs of red color. It looks tough, it feels tough. 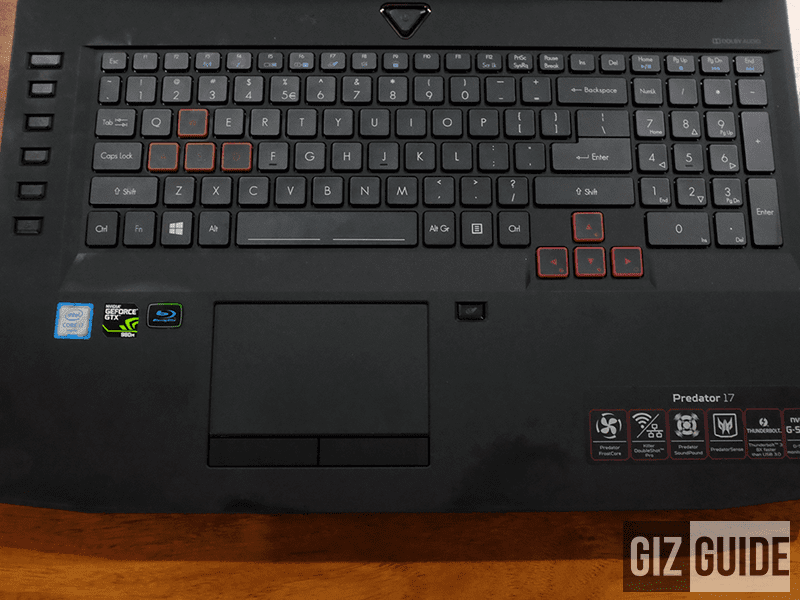 It was sturdy almost every where except some slight depression whenever you press on the following areas: the back of the screen and the area around the keyboard. Full view of the keyboard, showing customizable keys on the left, regular keys on the middle, num keys on the right, power button on top and switchable touch pad below. The design aesthetics remind me of a spaceship with intakes for speakers and with the shape contoured to be aggressive and to be sharp. 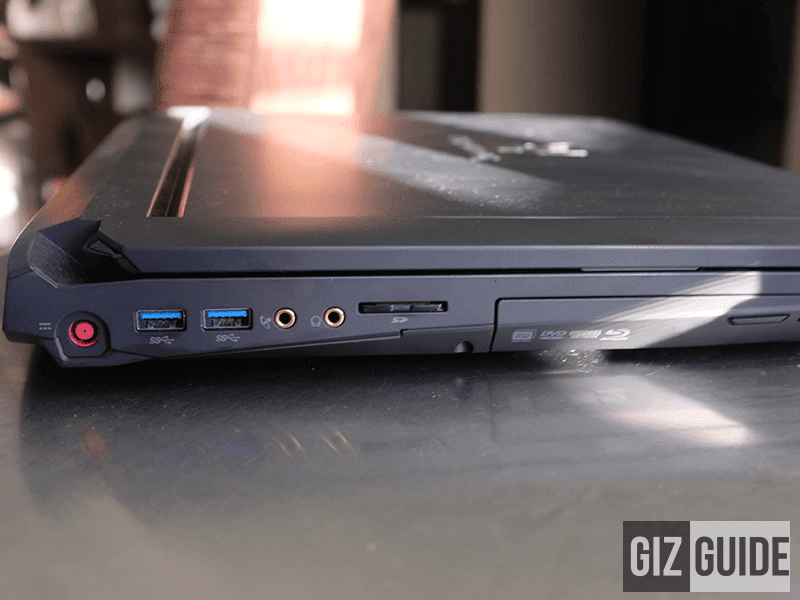 It also has a removable Blueray / DVD player part that can be replaced with an extra cooling system. The only thing that we had problems with is that after a while, it gets heavier because of fatigue. 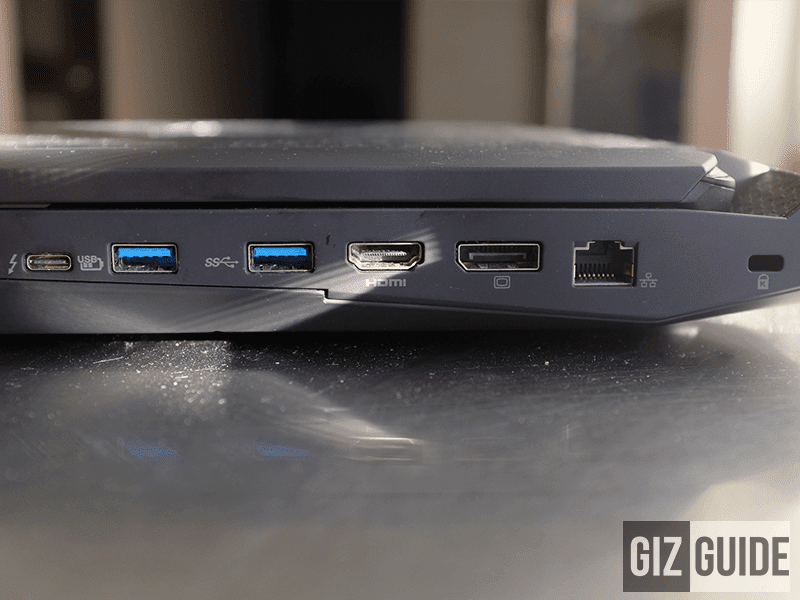 This device is a gaming / multimedia powerhouse. The large 17.3 inch screen looks spectacular, though I agree with David of Semi Current that the experience would have been better if the resolution is higher. Something like QHD would suffice. 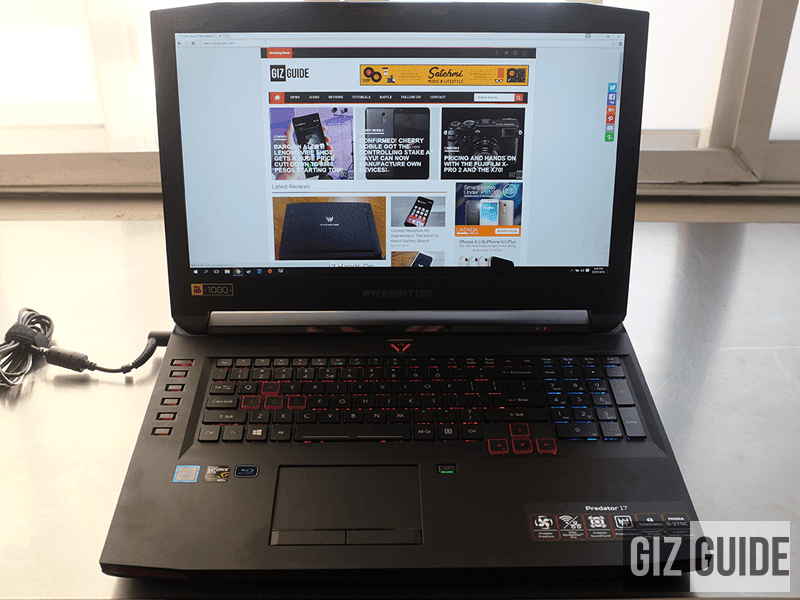 The 6th Gen Intel Core i7 processor paired with Intel HD 530 and 4 GB Nvidia GeForce GTX 980M on the other hand gives with desktop grade laptop close to top notch computing experience. 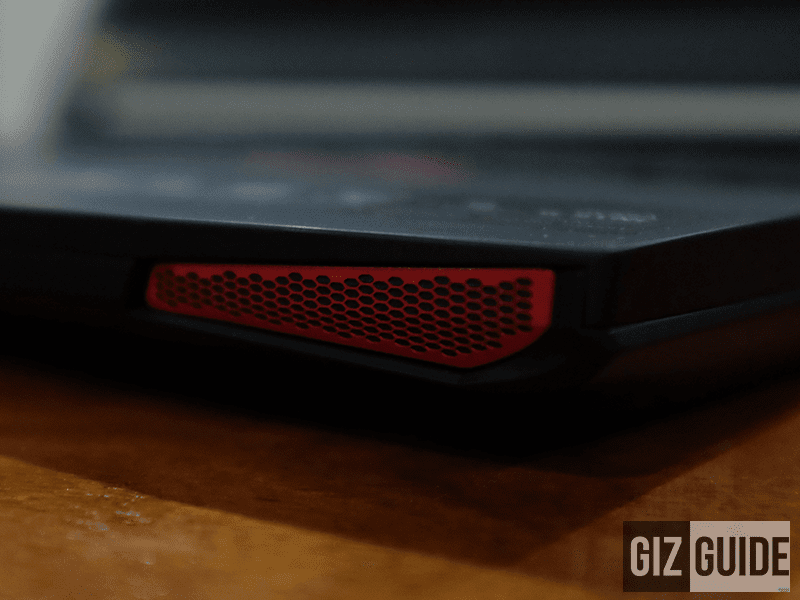 It can surely run most of the modern heavy games on middle to top config smoothly, render your edited videos and 3D work with ease. Then that 16 GB of expandable RAM ensures that can give you the best Windows 10 multitasking experience that's future proof at the same time. 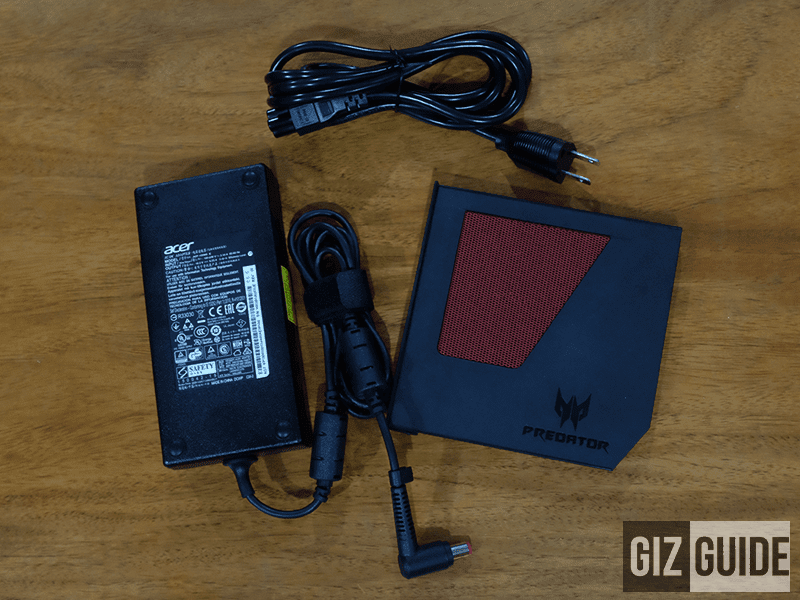 The Acer Predator 17 also has 256 GB SDD combined with 1 TB HDD and SD card reader for your added storage. It's also complete with ports from 4x USB port, microphone, 3.5 mm jack, Thunderbolt, full sized HDMI, RJ45 and Display Port 1.2. 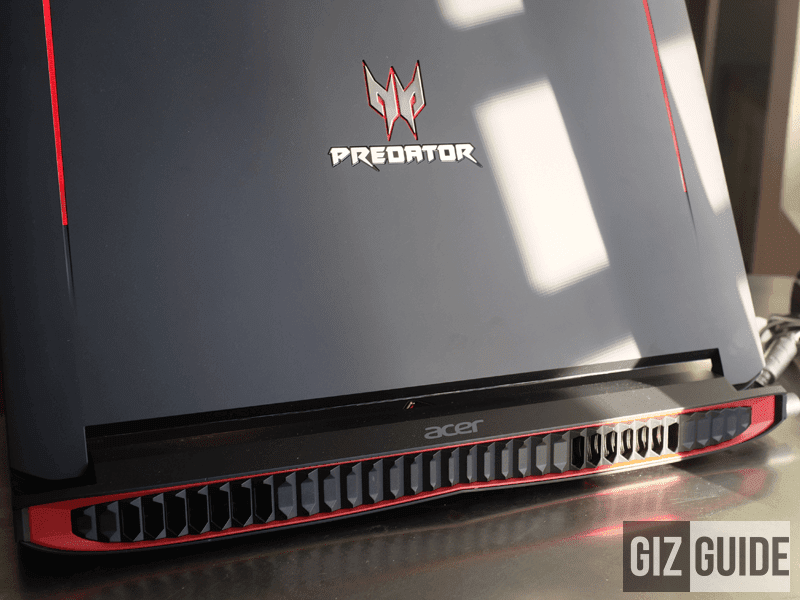 Acer also placed a good sound system config in here as the Predator 17 has 4 loudspeakers and 2 sub-woofers to enhance your multimedia / gaming experience. We were able to run the following Steam games smoothly at High or Very High settings: Bioshock Infinite, Warframe and Dirty Bomb. We experienced very little frame-rate drops when playing the mentioned games. The sound is loud and crisp because of the sub-woofer and the screen's color gamut and refresh rates are wonderful. We never felt that it slowed down. 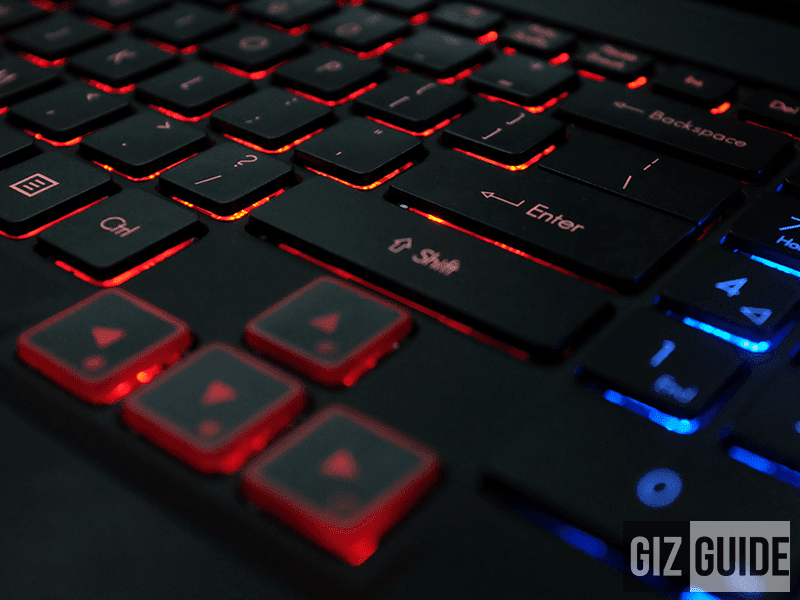 The keys are well lit by red or blue and they each key has nice tactile feedback. One of the best devices in its class so far.